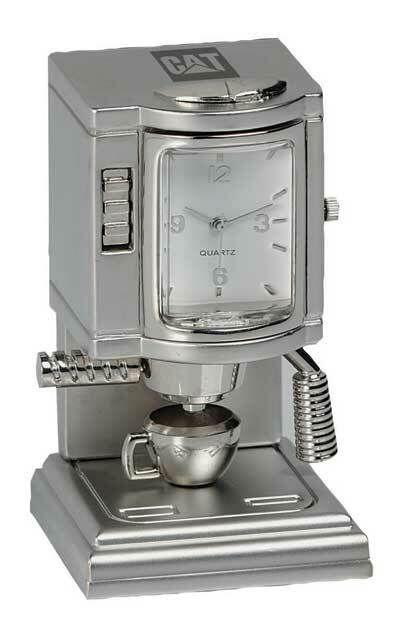 Metal Coffee Maker Clock. Item size: H 2 3/4¨ x D 1 1/2¨ x W 1 1/2¨ Imprint area: H 1/2" x W 3/4". Face Printing Also Available 50 pcs/31 lbs. Batteries: Included. Carton Size: 10" x 15" x 8"